Actor Bill Cobbs, right, is a series regular on the ABC hit, "Going On," with Matthew Perry of "Friends" fame. I swear there’s one guy who gets more air time than either President Obama or Republican challenger Mitt Romney, and he is actor Bill Cobbs. The ubiquitous actor, who appears in the current ABC sitcom “Going On” with Matthew Perry, has been in Star Trek Enterprise, I Still Know What You Did Last Summer, The Bodyguard, Bird, The Color of Money, The Cotton Club, Trading Places, The Taking of Pelham One Two Three and scores of other popular movies and television shows. Cobbs, a Cleveland, Ohio, native who lives in the Inland Empire, is more than just a fine actor, he’s a patriot who served as a United States Air Force radar technician for eight years and animal lover who a couple of years back came to La Verne and volunteered his time to participate in Linda Blair’s (“The Exorcist) WorldHeat Foundation’s Craft Fair, organized by La Verne resident Becky Altringer, to raise money for abandoned and abused animals. That’s when I first met Bill, and I’ve closely followed his great career ever since. 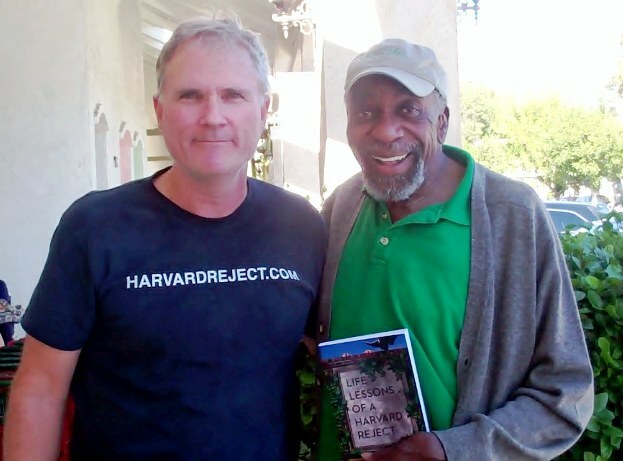 He’s also the latest fan of the motivational and inspirational book Life Lessons of a Harvard Reject (www.HarvardReject.com), which among its many themes shares a multitude of stories, anecdotes and insights on the Black experience in America. Because, if there’s anybody, who has it “Going On,” it’s you! For more info about Life Lessons of a Harvard Reject, visit www.HarvardReject.com.